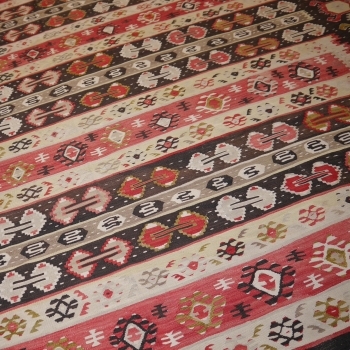 Old Sarkoy / Piroter Kelim from the Serbian-Bulgarian border area. Rare Sarkoy Pirot piece of a fine quality and for the age in very good condition. 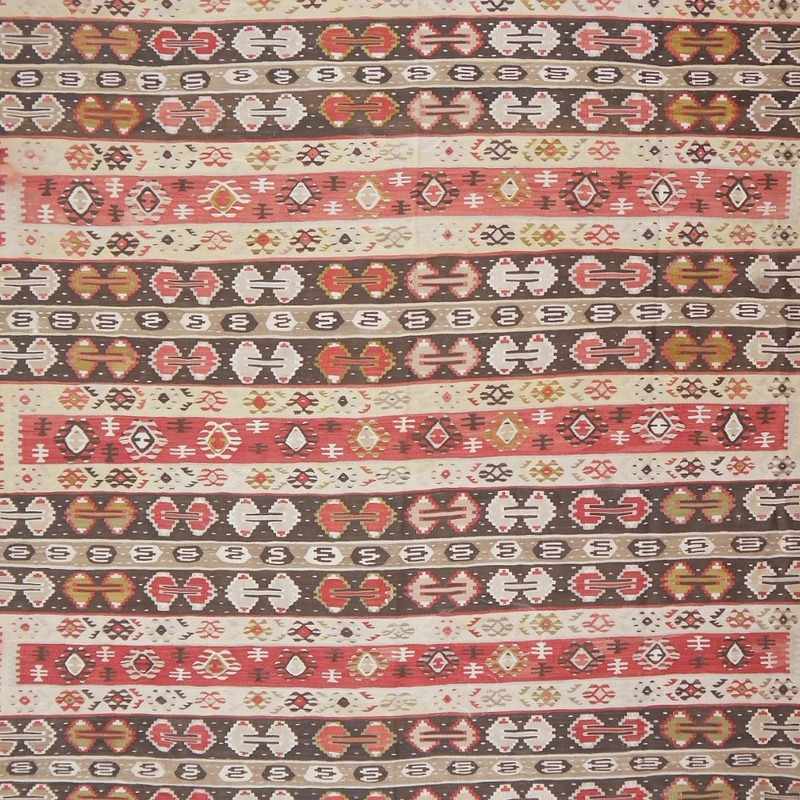 Sarkoy Keilim are known for their unique designs that have evolved over the centuries. 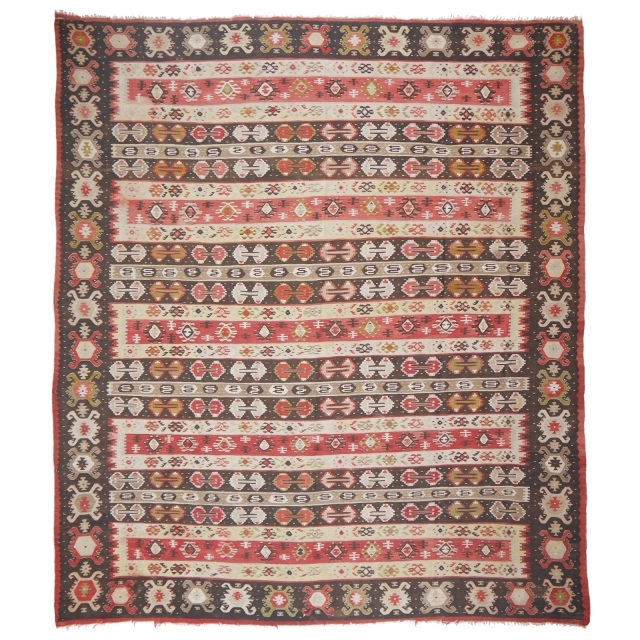 As the manufacturing region was well developed on the Western European route to Constantinople, such carpets were traded both east and west. 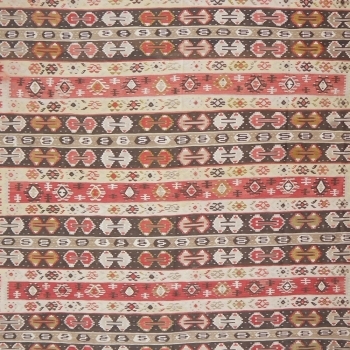 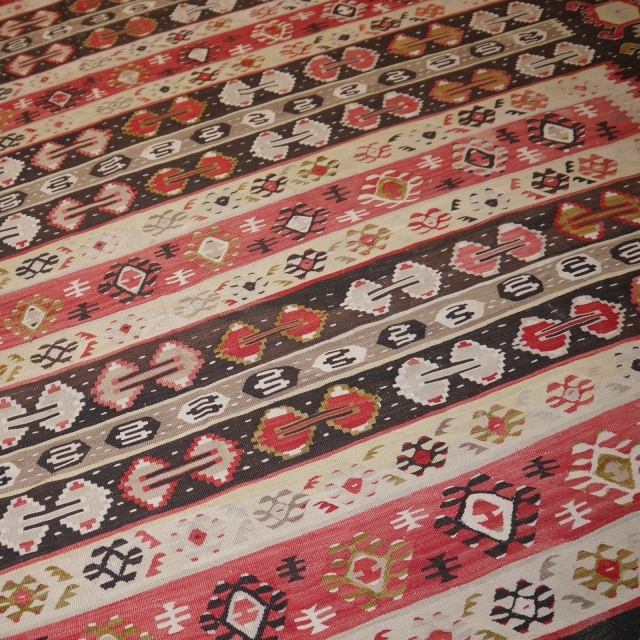 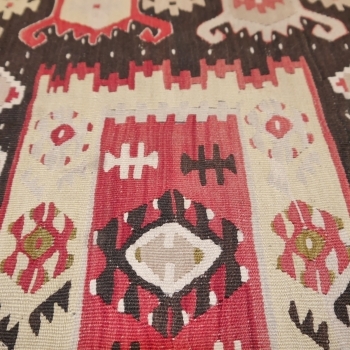 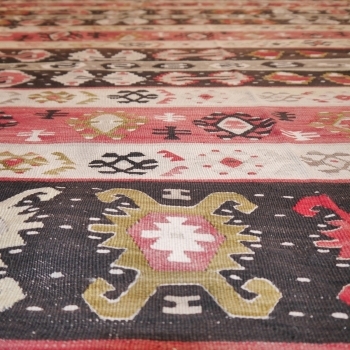 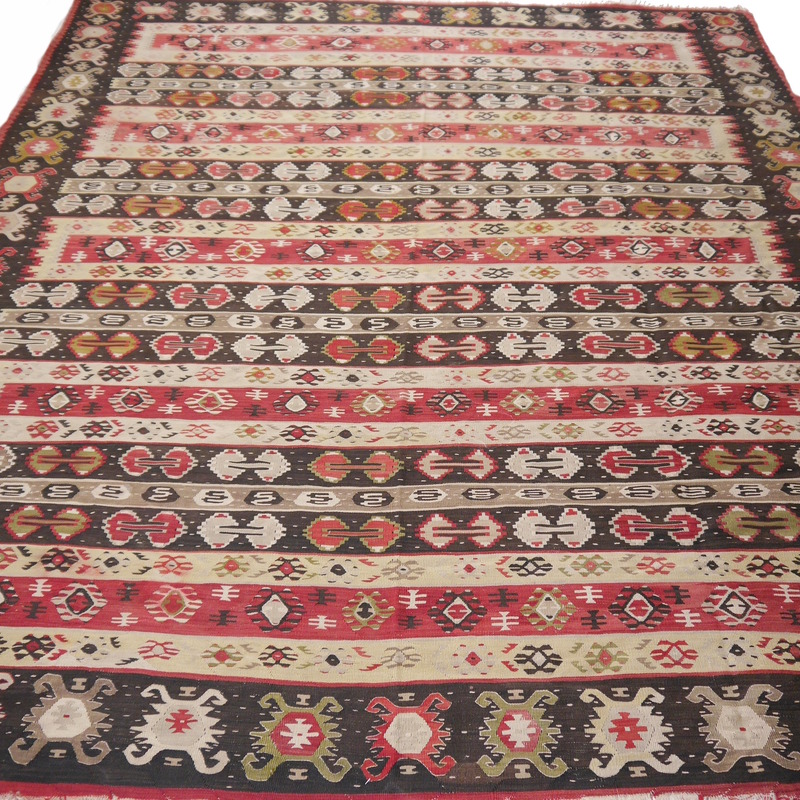 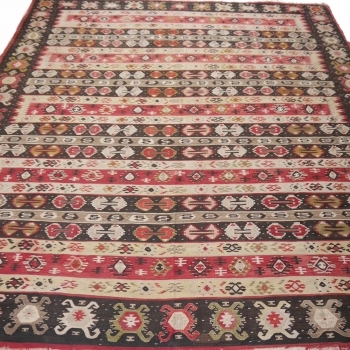 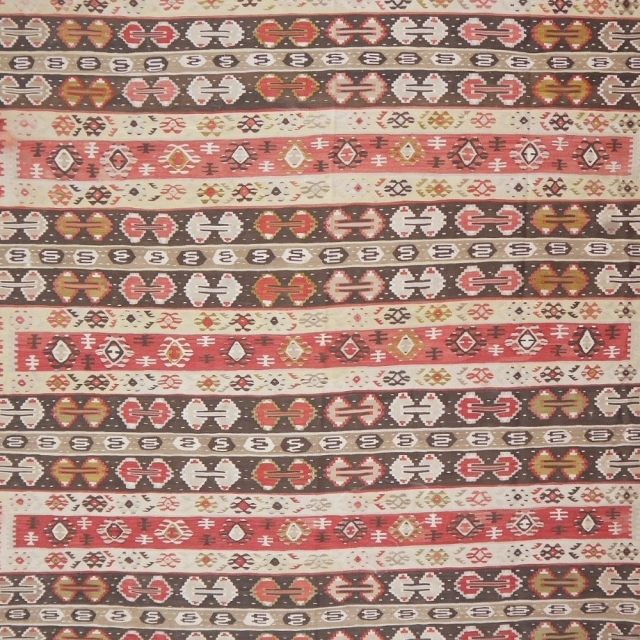 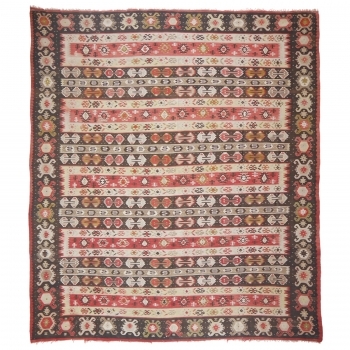 Very nice vintage / semi antique hand woven Kilim rug. Good condition with patina.